Taco Test – Excellent. Juicy, not dry or oily, great flavor. Sopa de Lima. Nice flavor. 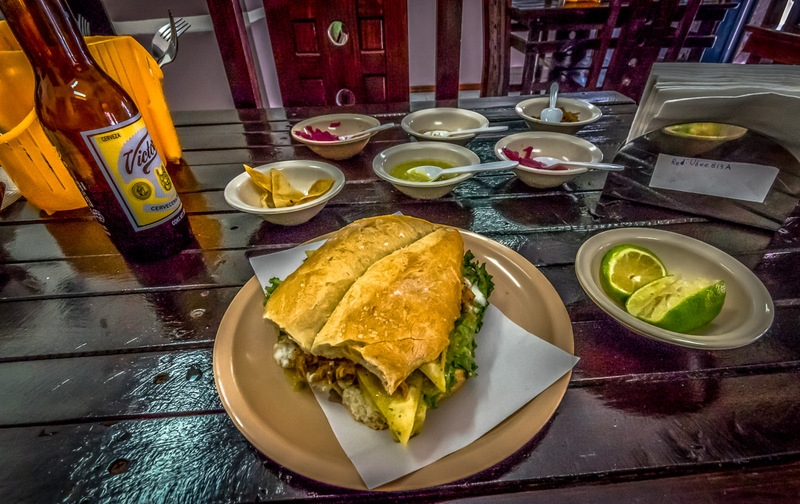 Super Torta – Definitely good and big. The salsas are wonderful. These are from a new restaurant on La Corregidora in Centro. Super Cochinita focuses, not surprisingly, on Yucatan specialities, and serves almost everything dish on the menu from cochinita pibil. Their recipe for cochinita is classic down to the bitter orange flavor and very good. 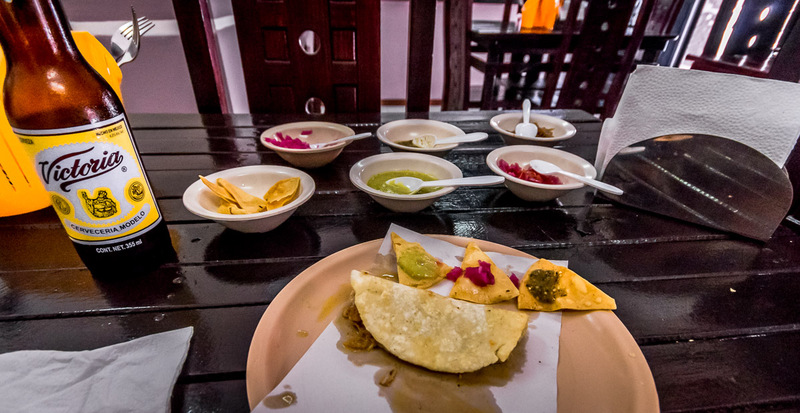 Salsa are often the single point of critical judgement on small restaurants in Mexico. If the house doesn’t get the salsas right, you can give up, no one is going to come back. These are right and good, if a little spicy to some tastes – not mine, but you have been warned. Always try a little salsa to the side before using it liberally. Chips are provided for this – use them. 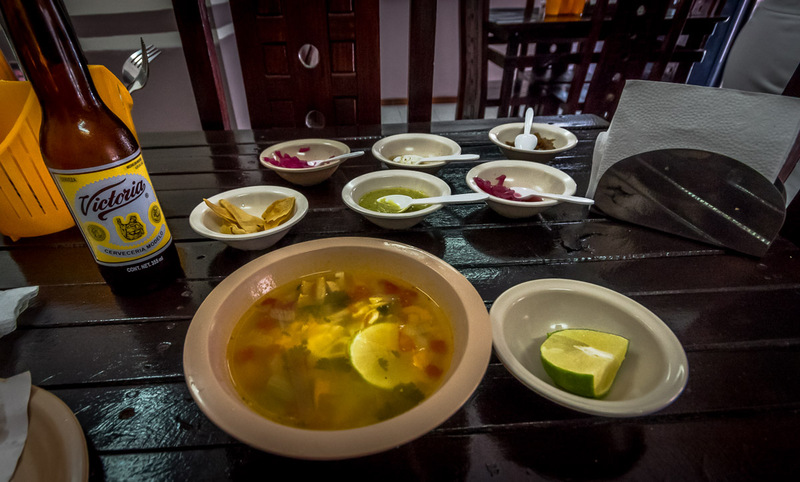 Sopa de lima is another specialty of Yucatan and here it is done right, without fluff or fancy edges, but with some fava bean, chicken, vegetable and the fragrant lime that is a staple of the peninsula. And, to verify the authenticity, one is served for addition to the soup. This is a new restaurant, some of the help is a little unsure how to handle things, but the management and chef are very capable. They will get things under control quickly. Do try it!